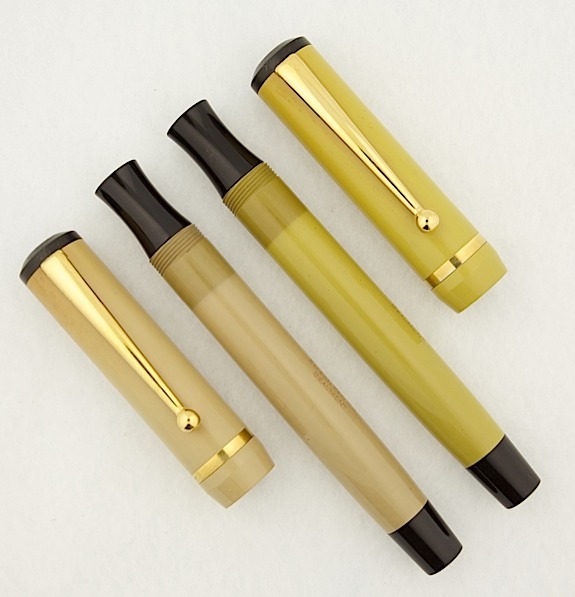 Edison Pen Co – No More Solid Ebonite Except Black…. No More Solid Ebonite Except Black…. I wanted to make everyone aware of some materials that we’ll be discontinuing. We have found that over the years, our solid colored ebonites (except black) have been fading in a very unacceptable manner. See pics below. Looks like a couple of really nice ebonite pens, right? I think it’s obvious that the pens have faded everywhere except where the caps covered the barrels. 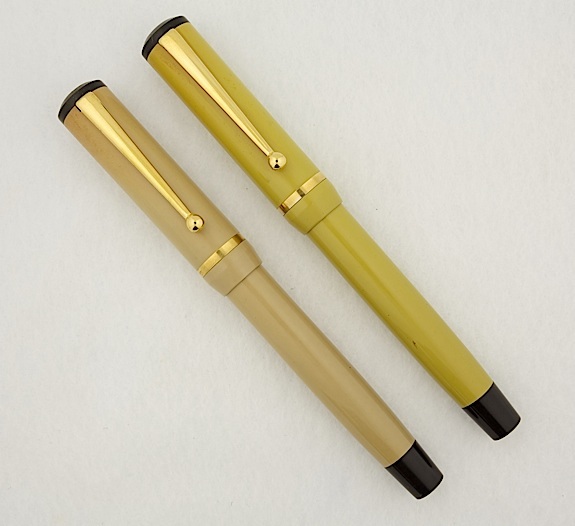 When these pens were fresh off the lathe, the original color would have been closer to the darker shade. What makes this difficult to diagnose is that the pens above have been either on my desk out of sunlight or in my desk drawer for 3-4 years, so it’s a very slow process, but still an unacceptable one. So from here on out, until we can find a supplier that will give us an acceptable product, we will no longer be using any solid colored ebonite except black. The black is not fading at all with normal care. However, these pens above (and many other solid colored ebonite pens) have been fading even if they stay in a drawer, and never see sunlight or UV rays. Even though this is a very slow process, it’s still not up to our standards, and not a material that we’ll stand behind anymore. Does this this effect the swirl, mottled, or woodgrain ebonites? Nope, those are perfectly fine, and will not fade with normal care. Just so you know, I have already removed the unacceptable ebonites from the Material Samples Gallery. If you want to look through this gallery, you will see only viable materials. And you’ll see plenty of solid colored acrylics there. Of course, acrlyic will not fade with normal care, so there’s still plenty of solid colored materials to choose from. So what if you currently own a pen made from a solid colored ebonite that has faded unacceptably? Refer to our guarantee here. We can take the pen back. With sanding and polishing, we can restore the original color, but of course, we realize that no one wants to do this every 4 years. So if you are unhappy with a solid colored ebonite pen that has faded even with proper care, reach out to us, and we’ll make it right.